Lightworkers – Money is joy! Dear Lightworker, as a grounded being in a human body I ask you to listen to your heart that you have been endowed with in this incarnation. Your heart leads you to Joy and Joy leads you to Heaven on Earth, to the paradise that you have chosen to create for yourself, in this life. There is an energetic thaw going on in your world. 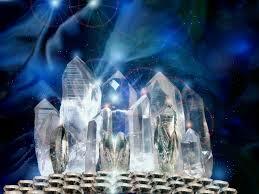 The old three dimensional energies are yielding leading to changed thought patterns and concepts. Old perceptions about right and wrong are forced to leave and energies that previously had scarred you away from being a certain way or having a certain perception about something is folding so that you can follow your heart and be those that you in truth are. The three dimensional energies have been solid, immovable and slow in their character. When they now are do be loosened up and leave you that literally resemble the ice on a lake that is yielding to movable waves of the spring and the summer. An energy thaw is cumbersome for you. You experience that you loose your footing as the ground below you suddenly is moving. You are forced to change your lives and perceptions about such things that you thought was true and you become lost. 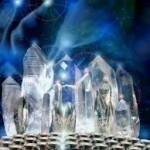 There has been a three dimensional energy link between money and power. This energy link is now cut. The energy link between money and power is gone. The codes have changed and you can finally experience that the illusion surrounding money is yielding. Your thoughts around money will start to change. Instead of money being created from the energy of power money will now be created from the energy of joy. Let go of your fears of money! You lightworkers have had an incorrect conception that it is ugly to earn money from what you do. You lightworkers have incorrectly perceived that money is something that destroys your spirituality and it is thus best that you do not have any. You have suffered from a great lack of money and many of you have in desperation called on us when you need help to pay your bills. I want you to let go of all previous judgments about money. I want you to let go of all the guilt you have felt from doing well. I want you to stop denying your heart’s need to have a good life on Earth. I want you to adopt the thought that money is an energy that will help you to create your dream life here on Earth. Money is not dangerous in the New Era. Money is not power. Money is Joy. Money will cease to arrive to those that lust for power and who’s intention is to accumulate money in droves in order to steer and control others. As a miracle these people will be forced to change their perceptions about money and power. They will be forced into the New Era by opening up their heart and replace thoughts about power with thoughts about joy. Money will come to you when you in truth and pure joy do what you love and that which your heart is burning for. Let go of the thought of how this will happen. If you love to string beautiful pearl necklaces – do so. Maybe it is not the necklace that becomes your fortune by itself, but the fact that your energy of love from stringing pearl necklaces will cause you to attract to money in a different way. Accept the fact that you are a Human on Earth that need money to do well and that you gratefully combine pleasure with usefulness when you do that which you love. Let money be a natural part of your new life. Let joy be a natural part of your new life. Let everything good come to you and be a natural part of your new life. The new life is an easy flowing energy where everything changes very fast. What was impossible to create yesterday is highly possible to create today. Let us help you accept that you are a Human on Earth. Let us help you change your energy so that it is in harmony with what you have chosen for yourself in your new life. You are worth everything good and by creating a life in joy you will create important spirals where others will follow you and do the same. The ways of the old times of earning money through power over others have during old times created power hungry people on Earth who wish to do the same as their predecessors in order to make big money. It has worked well to be threatening and mean towards others in order to gain power over them and make money on their fatiguing efforts. Now your choices in true joy will create a lust within others to follow you when they see what your choices result in. All people want in their hearts to experience love and joy. All people want in their hearts by loved by themselves and others. To earn money from being kind, good and spreading joy from the heart will be the best advice for the future economy. Lightworkers – Create your own lie in love and joy – NOW! !